This cottage is an original Gretna gem. Offering 4 bedrooms, 3 double beds & 1 single bed, 1.5 baths, galley kitchen, large dining room, living room with cable TV, and laundry room. There is a wrap around porch with plenty of seating and off street parking for 2 cars. There is a small private patio in the rear of the cottage and a second floor deck area accessed through a bedroom. This cottage is WIFI equipped. Although this cottage is an original Gretna 1900's gem it boast modern amenities. 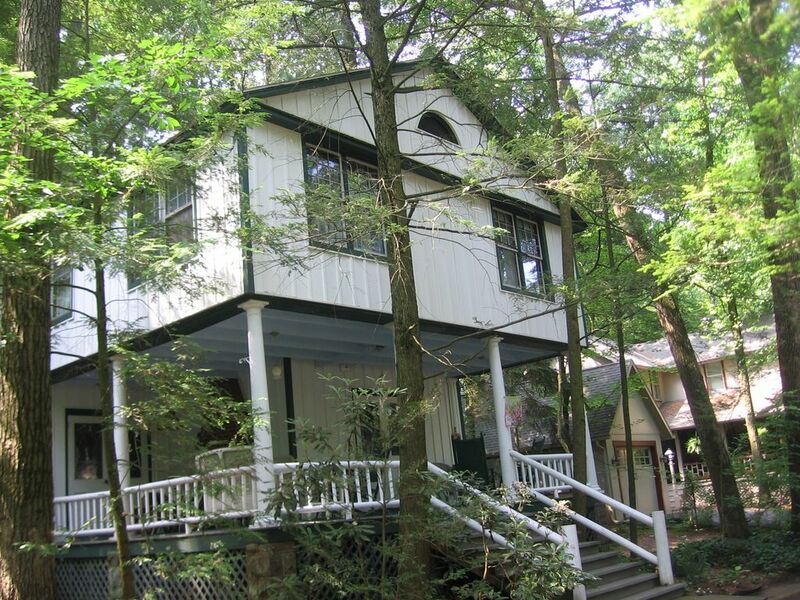 WIFI, cable TV, laundry and wrap around porch for a relaxing summer days. This cottage has off street parking and a second floor deck. Okay but a bit cluttered. The house is old and has that old house smell. The screen on the front door is torn so unable to leave main door open for air circulation. Advertised as having a/c but just had a small window unit in the LR and one BR upstairs. The smoke alarm in the kitchen went off each time we cooked (even eggs and hash browns). The lawn furniture in the backyard was dirty. On a positive side we did enjoy the front porch, location, and having a nice w/d available.